So far grants have been awarded to 34 businesses in Copeland as part of Copeland Borough Council’s building grants scheme. Businesses can apply for up to £5,000 for improvements to shopfronts, windows and frames, doorways, external decoration and signage. It is a 50 per cent contribution that means that businesses are required to invest in their premises to match-fund the grant. The Council has received over 200 enquires from Copeland businesses. The scheme is open to all commercial premises in the borough (excluding industrial estates and business parks) and the closing date for applications is September 1, 2018. Whitehaven; Sporthouse, The Vine, Shakers, Senhouse Centre, Savvy, Flower Basket, Union Hall, Dixons, PFK, Oriental Garden, Humbug Sweet Shop, La Chic, Sportzone, Tutis Foster Care, Corner Deli, Richardson’s Wine Shop, Whitehaven Fish Bar Ltd, Seven. Millom: Cambridge House Hotel, Stag’s Gents Hair Salon, Citizens Advice, Pet Shop, Bed Shop, Deano’s Place, Mr Wok’s Thai Orchid, Chiropodist, Richmond Fellowship and Unit 1 and 2, Midland Chambers. In Egremont, grants have been awarded to Spuds & Co, Star Takeaway and Unique You. In addition, the Town Council building in Cleator Moor, Haverigg Post Office and Woodalls Butchers in Waberthwaite have also been awarded grants. Mike Starkie, Mayor of Copeland, has pledged £500k to the scheme, launched in July 2017, which will attract at least a further £500k from the private sector. He said: “We’re delighted to have received over 200 enquires and we’re urging all those businesses that have been in touch to get their applications in by September 1. “We’d like to see this money distributed fairly across the borough and are urging business particularly in Cleator Moor and Egremont to apply. 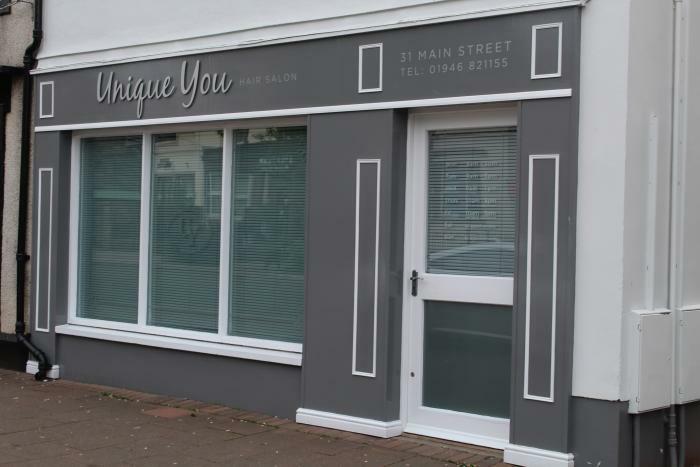 “It’s a fantastic scheme that gives business owners the chance to improve the visual appearance of their premises for a fraction of the total cost. The scheme is part of the Council’s Pride of Place campaign which encourages residents and businesses to take pride in their borough and work towards making Copeland a better place to live, work and visit.